Total 230 AA. MW: 24.9 kDa (calculated). UniProtKB acc. no. Q60994 (Glu18-Asn247). Protein identity confirmed by LC-MS/MS. 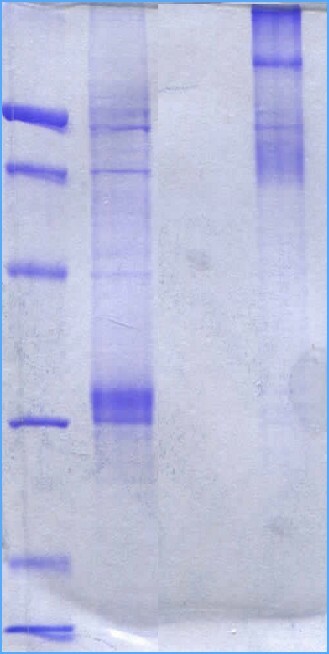 Filtered (0.4 μm) and lyophilized from 0.5 mg/ml solution in 20mM Tris 50mM NaCl, 1mM CaCl2, pH 7.5.